Oct. 20, 2009 -- The Department of Music at Arkansas State University in Jonesboro will present guest artist Kevin Sanders in a tuba recital on Tuesday, October 20, at 7:30 p.m. in the ASU Fine Arts Center Recital Hall, 114 S. Caraway Road, Jonesboro. Accompanying Sanders will be Dr. Lauren Schack Clark on piano, and James Albrecht on trombone. The concert is free of charge and open to the public. The evening’s performance will include “Concerto in D minor, Op. 9, No. 2” by Tomaso Albinoni; “Fantasy for Trombone, Op. 101” by Malcolm Arnold; “Concertino for Tuba and Wind Band” by Charles Booker; “Concertino for Tuba” by Rolf Wilhelm; “Reciprocity for Trombone and Tuba” by James Meador; and “Moses Variations: Introduction and Variations on a theme by Rossini” by Niccolo Paganini, arr. Philip Sinder. With over a decade of performing on the world’s classical music stages, tubist Kevin Sanders is known for his artistic style and pedagogical innovations. His musical instincts and creative flair began to develop while attending the Interlochen Arts Academy in Michigan, a boarding school for aspiring young artists. After graduating from Interlochen, Mr. Sanders attended Indiana University, where he earned a bachelor’s degree in music. He also holds a master’ss degree in music from the Juilliard School of Music, and is currently finishing his Doctorate of Musical Arts at Michigan State University. Mr. Sanders actively performs with orchestras and presents recitals and master classes around the United States. 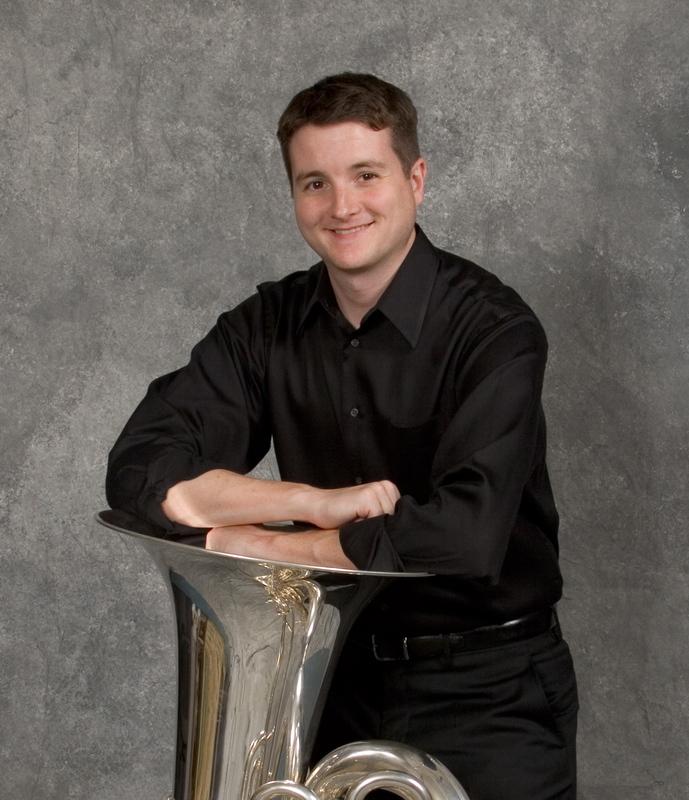 He is a member of the Memphis Brass Quintet and has performed with the American Brass Quintet, the New Mexico Symphony, the Spoleto USA Festival Orchestra, the New World Symphony in Miami, the Chicago Civic Orchestra, the Columbus Philharmonic, the Evansville Philharmonic, and the Terre Haute Symphony. In 1999, Mr. Sanders was selected as one of nine Americans to play with the Jeunesse Musicales World Orchestra for their North American and European tours. He has worked under internationally acclaimed conductors such as Kurt Masur, Lorin Maazel, Frederick Fennel,l and James Conlon, and has performanced in New York City’s Carnegie Hall under the batons of Charles Dutoit and Michael Tilson Thomas. Mr. Sanders has been fortunate to study with some of the most legendary brass virtuosi, including Dan Perantoni, Tony Kniffen, David Fedderly, and Joseph Alessi. Mr. Sanders has presented educational concerts in New York City’s numerous elementary schools, hospitals, and businesses through Juilliard’s Community Chamber Music program and lectured at the Arkansas Bandmaster’s Association. He currently serves on the faculty of the University of Memphis Rudi E. Scheidt School of Music, and has held positions on the faculties of the University of Arkansas - Fort Smith, SUNY-Potsdam Crane School of Music and the Blue Lake Fine Arts Camp. Dr. Lauren Schack Clark is associate professor of piano and keyboard activities coordinator at Arkansas State University. Recent performances have included solo recitals in Naples, Italy, at Berklee College of Music, and at Dickinson College in Pennsylvania. In 2008, she performed a recital at the University of Florida as part of the ASU Double Reed and Piano Trio, and played programs with violinist Stephen Sims at the Cleveland Institute of Music and Denison University. Her solo CD was released by Centaur Records in February 2008 and contains piano music written by Boston composer Dr. Rosey Lee, faculty, Berklee College of Music. She holds a Doctor of Musical Arts Degree from Boston University, a master's in piano performance and pedagogy from Northwestern University, a graduate diploma from the Longy School of Music in Cambridge, Mass., and a bachelor of music degree from the Hartt School of Music. Her principle teachers were Raymond Hanson, Eda Mazo-Shlyam, Deborah Sobol, and Thomas Stumpf. James Albrecht, a native of Valley City, Ohio, is currently working on his doctorate at the University of Memphis. 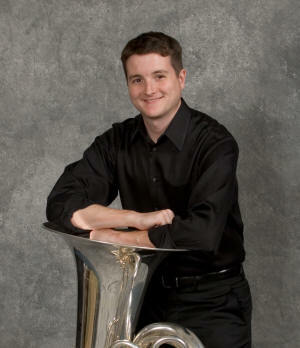 Prior to going back to school, he was acting utility trombone of the Pittsburgh Symphony from 2006-2009. Mr. Albrecht began his undergraduate work at the University of Cincinnati College-Conservatory of Music and completed his bachelor of music degree at the Manhattan School of Music. He also holds a master of music degree from the Cleveland Institute of Music. After his studies, Mr. Albrecht was a member of the New World Symphony in Miami, Fla. from 2004-2007 under the direction of Michael Tilson Thomas. He has also performed with the Cleveland Orchestra, the Nashville Symphony, the Memphis Symphony, the Charleston Symphony, the Florida West Coast Symphony and many regional orchestras around the country. In the summer, Mr. Albrecht has attended various music festivals such as the Spoleto USA Festival, the Music Academy of the West, and the Pacific Music Festival under Charles Dutoit in Japan. Mr. Albrecht’s teachers have included Peter Sullivan, Tony Chipurn, Richard Stout, Mark Lawrence, David Finlayson, and Edward Zadrozny. For additional information, call the Department of Music at (870) 972-2094.